Prescription Wiley-X glasses afford consumers numerous options meant to customize one’s choice of eye wear. 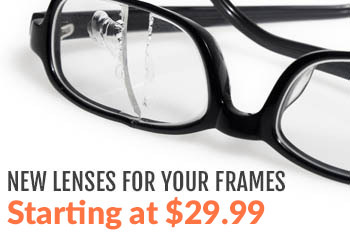 This is particularly true of the company’s assortment of frames. In addition to a rainbow of colors, consumers must decide on a shape (rectangular or wrap) and pick from a trio of frame types. Today, we wanted to focus on one of those frame types, the semi-rimless. Why choose a semi-rimless frame for one’s pair of prescription Wiley-X glasses? Simply stated, it has at least five advantages that a select group of consumers love, starting with the weight. Semi-rimless frames by Wiley-X are extremely lightweight by design. The ANSI Z87, safety approved, adjustable plastic runs from temple to temple across the top of the lenses. Both the sides and bottoms of the lenses, on the other hand, are frame free stave for the bridge. The bridge of Wiley-X’s semi-rimless, prescription glasses are fashioned out of the same strong plastic as the rest of the frame. In addition, the plastic brow bar and bridge are traditionally outfitted with ultra foam. Why did Wiley-X designers choose to go with ultra foam? It’s simple really. The hard-working foam is super light, yet durable. So, it blends right in with the rest of the semi-rimless frame without adding unnecessary weight or destroying the prescription glasses’ slim profile. In addition, the semi-rimless frame’s ultra foam components offer consumers two, key benefits. First, it keeps the glasses firmly in place despite one’s activity level. Second, it serves as a buffer between the wearer’s eyes and fine, foreign material that may fall from above. Consumers have also found that it’s exceptionally adept at preventing brow sweat from rolling into the eyes. Because the eyes are protected from minor annoyances and not hindered by excessive plastic, those who wear semi-rimless frames are able to maximize their respective fields of vision. Accordingly, they can make full use of their eyes’ peripheral, superior, inferior, nasal, temporal and central vision capabilities as needed. In addition, they may choose lenses that boost those capabilities as well. The latter brings us to another reason people choose semi-rimless frames by Wiley-X for their prescription eyewear needs. Remember, the semi-rimless models are not totally rimmed in plastic. Consequently, the open sides and bottom allows for expanded lens options. 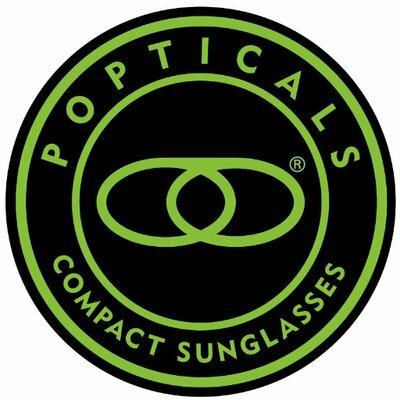 As such, consumers could choose trendy shapes (ovals or squares) as well as any number of lens dimensions. Lens dimensions, as readers may recall, vary with one’s prescription needs. So, some lenses may be exceptionally thick, convex or concave. This has the ability to pose problems for people who want full frames or goggles of particular design. Perhaps the thick, convex or concave lenses will not fit into the frames of choice? With semi-rimless frames, this is never a problem. As we already mentioned, the lenses only attach to the support plastic piece at the top. And yes, both the semi-rimless frame and lens colors may be individualized during the buying process. As such, semi-rimless frames by Wiley-X are some of the most customizable, prescription glasses on the market today. To illustrate further, there are currently 14 color choices for proponents of Wiley-X’s semi-rimless frames. Among them are plum and purple. Plum and purple, semi-rimless frames would look fetching with grey, silver or clear lens colors. Each hue adds additional benefits to pairs of Wiley-X prescription glasses. For instance, silver lenses tend to be anti-reflective. Accordingly, they’ll help people who must work or desire to play outside in the blazing sun. To learn more about semi-rimless frames and the other most sought after options Wiley-X prescription glasses offer both sexes, please contact us today.